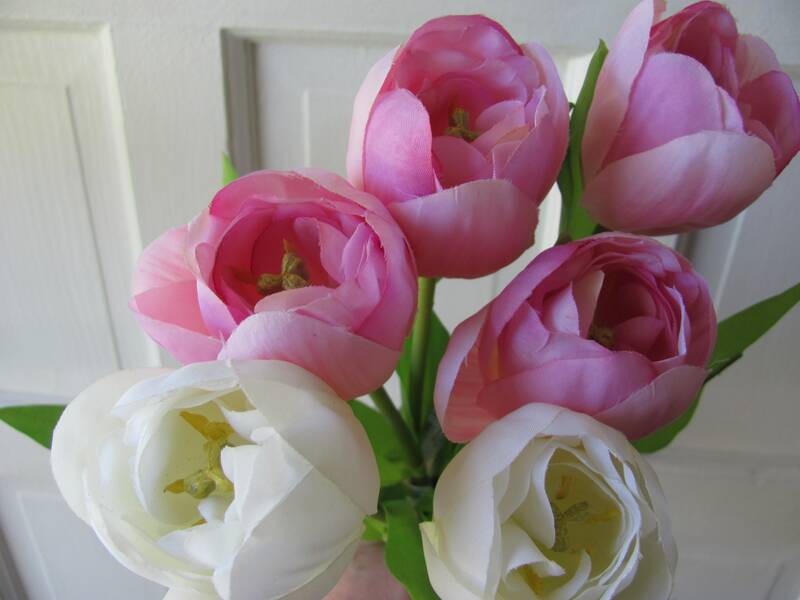 1 bunch of pink and white tulips. 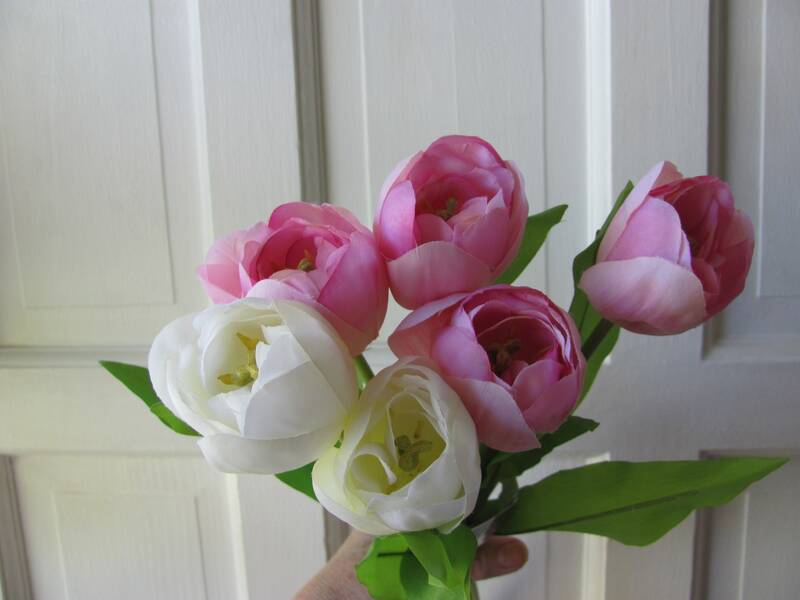 4 pink 16 inch tulip sprays and 2 white 16 inch tulips sprays. 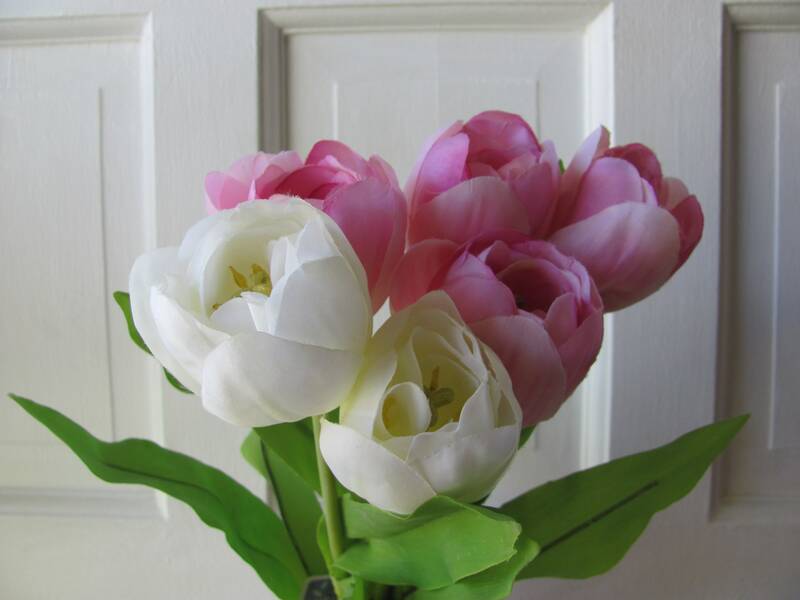 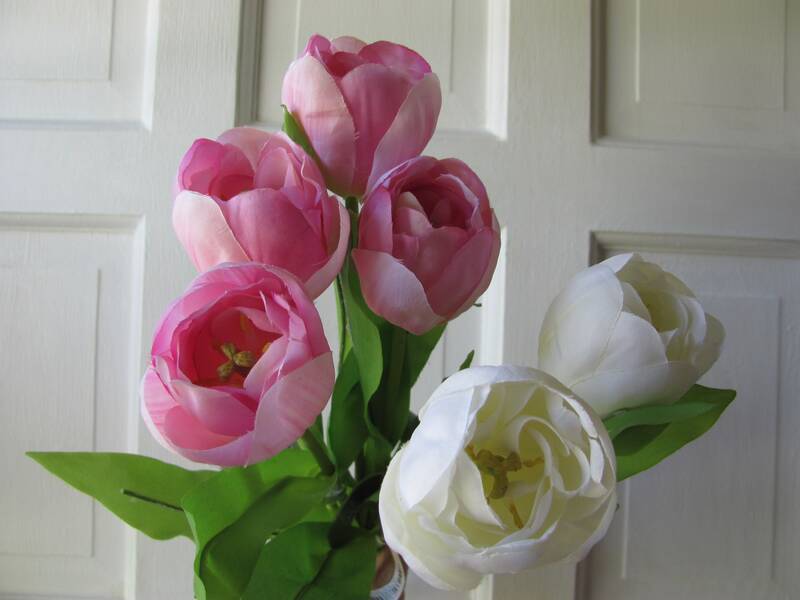 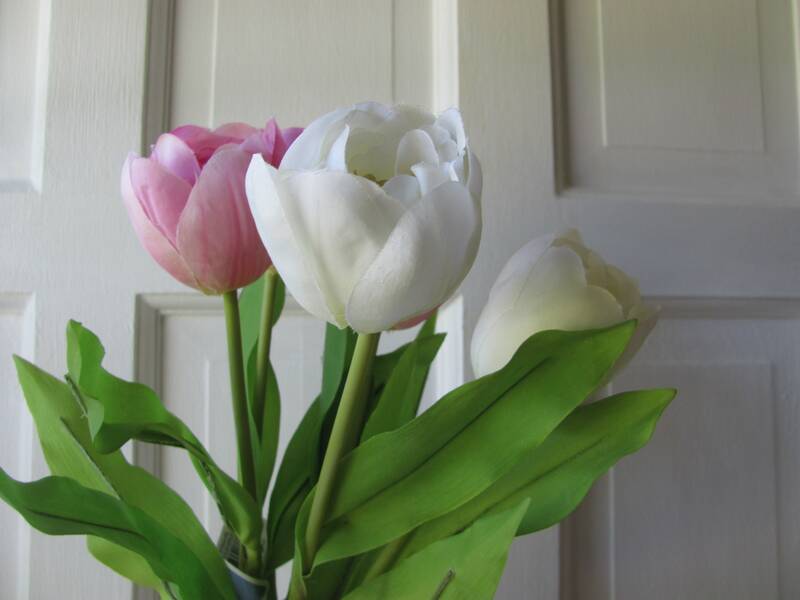 These pretty spring artificial tulip flowers can be placed in floral arrangements, on wreaths, swags and baskets.